Operation Smile announces the opening of Operación Sonrisa Centro de Atención Integral Grace McGregor B in Managua, Nicaragua. The new care center will provide year-round treatment for cleft patients and lead surgical innovations in the treatment of cleft lip and cleft palate throughout Nicaragua. 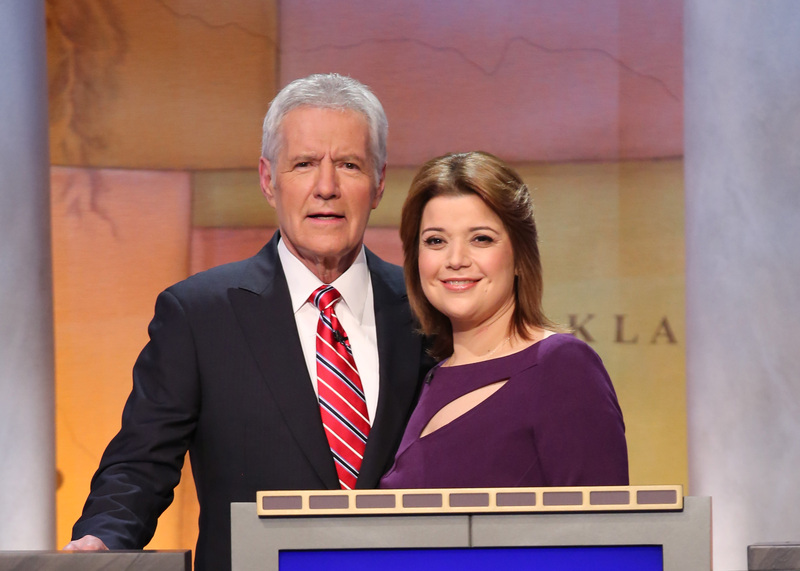 On May 19, CNN Political Analyst, GOP Strategist, and Political Contributor on The View, Ana Navarro, plays to win a minimum of $10,000 for Operation Smile Nicaragua through her participation in ‘Jeopardy!’ Power Players Week. Her proceeds will support the opening and ongoing operation of the new center. “I became aware of Operation Smile through the work of my friend, Jaffa Coen, in Nicaragua. Many health professionals and others volunteer their resources, time and talent to help those in need,” said Ana Navarro, regarding her Jeopardy donation to Operation Smile Nicaragua. “I wanted to contribute my little grain of salt to this effort, because I can imagine few things more life-changing -more precious- than giving a person the ability to smile," she added. With the inauguration of Operación Sonrisa Centro de Atención Integral, Operation Smile Nicaragua will increase the number of patients it serves each year and offer more comprehensive treatment options including plastic surgery consultation, orthodontics, dentistry, speech therapy, nutrition, psychology, and social work. Operation Smile’s first medical mission in Nicaragua took place in 1993 and since that time more than 4500 free, life-changing surgeries have been performed. “This is an exciting time for Operation Smile as we continue to expand our efforts to provide access to safe, effective surgical care around the world. I congratulate our team in Nicaragua on this milestone accomplishment, the opening of Operación Sonrisa Centro de Atención Integral, which will help to provide hundreds of patients with the care they need, when they need it,” said Dr. Bill Magee, Co-Founder and CEO of Operation Smile. The opening of the Nicaragua center is part of Operation Smile’s commitment to increasing access to safe, effective surgical care. Operation Smile is working to transfer medical expertise to improve surgical capacity in 40 countries, eradicate the backlog of hard-to-access cleft patients and provide life-changing surgeries to countless children and young adults. Year-round care centers are key to delivering quality care to communities in need. In 2015, Operation Smile provided more than 100,000 specialty medical interactions at care centers around the world; in Latin America a center opened in Ecuador this past January and one is scheduled to open in Paraguay later this year. Operation Smile is an international medical charity, which provides free surgeries to children in developing countries who are born with cleft lip, cleft palate or other facial deformities. It is one of the oldest and largest volunteer-based organizations dedicated to improving the health and lives of children worldwide through access to surgical care. Since it was founded in 1982, Operation Smile has developed expertise in mobilizing volunteer medical teams to conduct surgical missions in resource-poor environments while adhering to the highest standards of care and safety. Operation Smile helps to fill the gap in providing access to safe, well-timed surgeries by partnering with hospitals, governments and ministries of health, training local medical personnel, and donating much-needed supplies and equipment to surgical sites around the world. Founded and based in Virginia, Operation Smile has a presence in more than 60 countries and a global network of credentialed surgeons, pediatricians, doctors, nurses, and student volunteers. For more information, visit http://www.operationsmile.org.